Dive deep into a mysterious underwater world filled with endless, dynamically generated waves of hostile creatures and obstacles. Modify your ship, try to survive and beat the highscore. Unknown Ocean is a rogue-like shoot'em up with endless, procedurally generated waves of enemies. The player explores the depths of the ocean and is confronted by a variety of creatures. 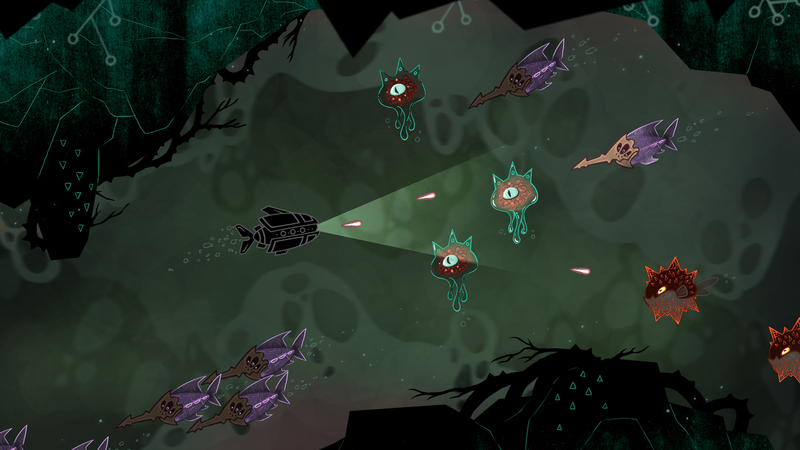 Hand-drawn 2D art and an adaptive soundtrack help to provide a unique atmosphere for this underwater world.